§ Vettukad Church : (7 kms from Trivandrum) The 'Madre De Deus' Church popularly known as the Vettukad Church attracts thousands of devotees from all religions. The annual celebration here is called the 'Feast Of Christ, The King'. 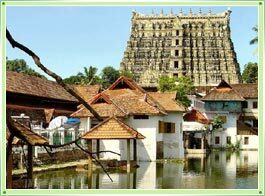 § Sri Ananthapadmanabhaswamy Temple : The ancient temple is the most dominating feature of Trivandrum. Overlooking the Padma Theertham Tank. The temple is devoted to Lord Vishnu who is depicted reclining on Sri Anantha, the hooded snake from which the city derives its name. Exquisite stone carvings and pavilions are worth admiring. The temple is open only to Hindus and dress regulations are strictly enforced. 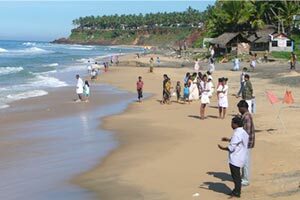 § Sankhumugham Beach : The long stretch of clean sand is located near the airport. The water there, however, is suitable for bathing. 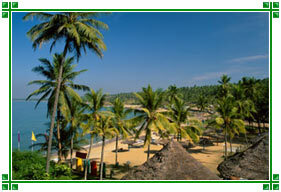 § Kovalam Beach : Kovalam beach is only 16 km. away from the city. This unique and uncluttered beach of silvery sands fringed with rows of tall palms, a sheltered bay provides a wide choice of water sports. 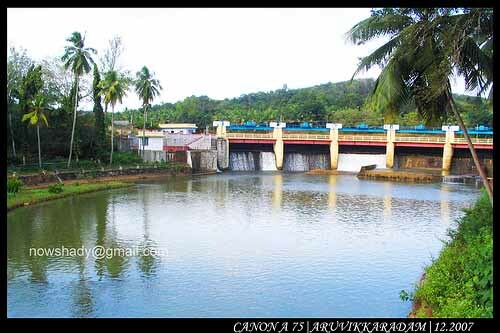 § Aruvikkara : 16 km. It is both a pilgrim centre and a picnic spot, with a waterfall nearby. On the banks of the Karamana River, the spot houses a temple, where a rock cut shrine is dedicated to Goddess Bhagvathy, the divine embodiment of female power. A stream with fishes, which come up to be fed by visitors, is another attraction. 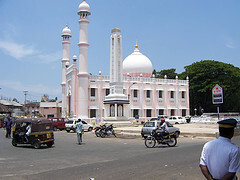 § Beema Palli : (5 kms south of Trivandrum) An important Muslim pilgrim centre, it is dedicated to Beema Beevi, a pious Muslim lady believed to have possessed divine powers. Devotees of all faiths visit the mosque. § Public Park : Truly a representative of the clean and verdant aspect of the city, the Public Park houses many important institutions, like the Zoo and the Botanical Gardens. The observatory on the Observatory hill is also located in the Public Park. § Vizhinjam : Near Kovalam, it's a fishing port, which is also important for an ongoing pioneer project to generate electricity from wave energy. 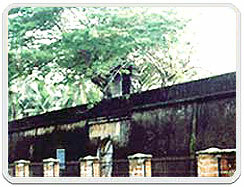 § Anchuthengu Fort : Located 36 kms from Trivandrum. The historic remains of the fort built by the British East India Company in the 17th century and an adjoining cemetery are the noteworthy relics of this first major British trading station on the Malabar Coast. 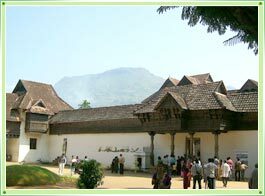 § Padmanabhapuram Palace (Tamil Nadu) : 54 kms. 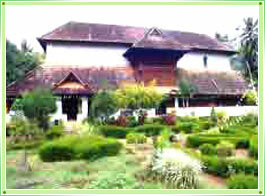 A place of elaborate woodwork, it was the ancient seat of the Travancore rulers. It contains relics of historical and artistic value. § Koyikkal Palace : Koyikkal Palace, the ancient palace, located 18 km from Trivandrum on the way to Ponmudi hillstation and the Kuttalam waterfalls, dates back to the 15th century. § Kaudiar Palace : This palace, home of the late Maharaja Sree Chitra Thirunal Bala Rama Varma and his family is off limits to the public. 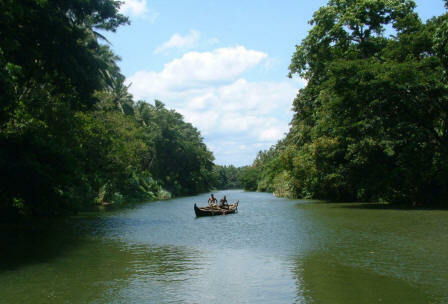 § Sucheendram (Tamil Nadu) : 74 kms. The temple contains beautiful carvings and sculptures. There is an impressive statue of Hanuman and navagrahas carved on the ceiling imitating universe. § Aaranmula Parthasarathy Temple : Parthasarthy temple, dedicated to Parthasarathi or Lord Krishna is said to date back to the days of the Mahabharata. The Vaishnavite Alwar Saints have sung its glory. § Kulathupuzha Temple : Kulathupuzha Temple is situated on a forest range on the Trivandrum - Shenkotta road, Kulathupuzha is known for the Sastha temple. § Sivagiri Temple : The 'Sivagiri Mutt' is a 'Ashram' founded by the great Hindu reformer and philosopher, Sree Naravana Guru. Even decades after the Guru breathed his last here in 1928 AD, his 'Samadhi' (restling place) continues to be thronged by thousands every year. § Ponmudi : 61 kms. 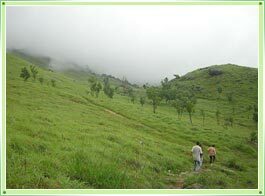 It is a beautiful hill station away from the city. The natural scenery, salubrious climate and the scope of hiking in high trails make the visit an exhilarating experience. 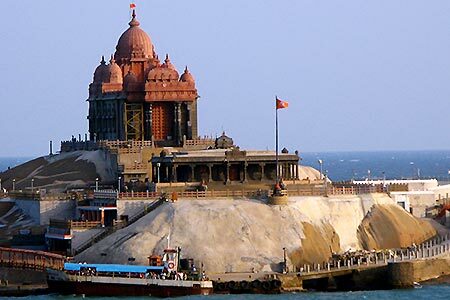 § Kanyakumari (Tamil Nadu) : 87 kms. It is located at a junction at the southernmost tip of India where the three water bodies, namely, Bay of Bengal, the Arabian Sea and the Indian Ocean meet. From here, one can see the sun rise from the Bay of Bengal and set in the Arabian Sea. 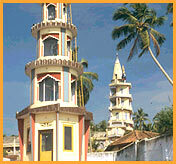 It is a holy place for Hindus because of the Kanyakumari Temple. 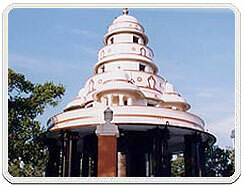 The Gandhi Smarak Mandir and Vivekananda Rock Memorial are additional tourist attractions. 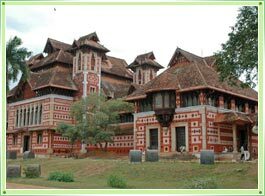 § Napier Museum : The museum contains a fine collection of Kerala's bronzes, ornaments and contumes, and a model of "Tharawad' the traditional Nair family home. 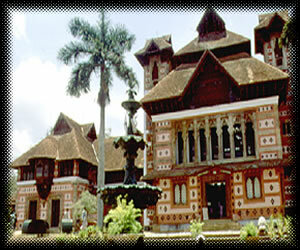 § Kuthiramalika Palace Museum : Kuthiramalika Palace Museum, a classic specimen of Kerala Architecture is situated in 'Kuthiramalika'. The palace, with its excellent carvings and amazing architectural designs, is by itself a slice of heritage. The museum has a wide range of exhibits representing the erstwhile state of Travancore. § Science & Technology Museum : The Science and Technology Museum, situated in Trivandrum was established with the prime objective of setting up of galleries with working or animated and participatory type of exhibits, on all disciplines of Science and Technology. 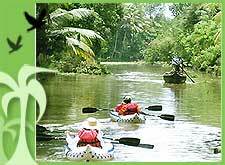 § Varkala Beach : Varkala is a sea side resort, as well as an important Hindu centre of pilgrimage. High cliffs with rich mineral springs rise majestically from the coastline. 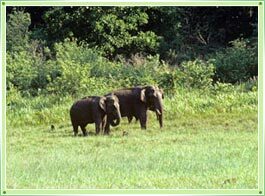 The 2000 year old Janardana Swamy Temple and the Nature Centre are the two main attractions here. High cliffs border the excellent beach.